The Michigan Department of Health and Human Services is advising parents to make sure their children are up to date on chickenpox vaccination following reports of increased cases and outbreaks in the state. Preliminary numbers for 2016 indicate there have been 239 chickenpox cases through April, which is about 57 percent more than that time last year. Chickenpox used to be very common, but since the vaccine was licensed in 1995 and recommended routinely for children, we have seen more than a 97 percent decline in its incidence in Michigan. In the majority of the cases this year, individuals had not been vaccinated. Nearly all of the outbreak-related cases in 2016 had not been vaccinated. Similar to measles, chickenpox spreads easily in schools, households, day care centers, camps, and other group activity settings, especially when there are pockets of low immunization rates in a community. 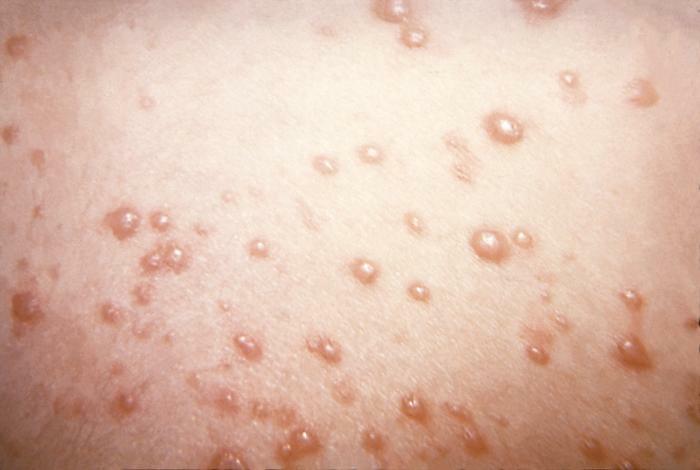 Chickenpox can be variable, ranging from mild with few “pox” lesions to very severe illness requiring hospitalization. At a minimum, the illness results in children missing several days of school and activities. Adolescents and adults are at higher risk for a serious case and complications, as are people with weakened immune systems because of illness or medications. According to the Centers for Disease Control and Prevention (CDC), adolescents as well as adults born after 1980 who have not previously had the disease and have not been vaccinated should also get the chickenpox vaccine, which involves 2 doses. Studies have shown the recommended 2-dose series given in childhood is somewhere between 89 percent and 98 percent effective in preventing any mild-to-moderate chickenpox disease and 100 percent effective in preventing severe chickenpox.